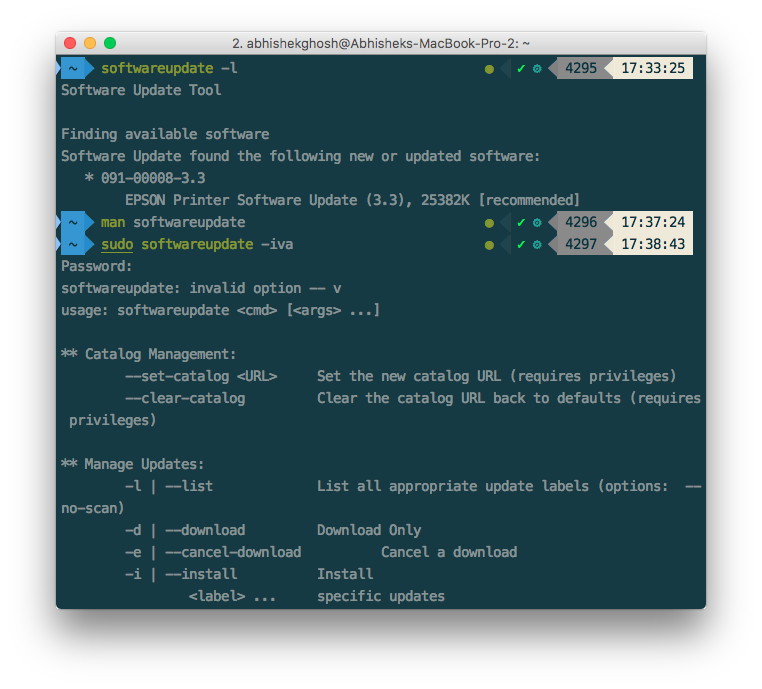 Commonly we configure Mac with HomeBrew, iTerm2 and Oh My ZSH for installation of command line and other packages. There are existing commands for MacOS X for the works we perform via GUI. Utilizing MacOS X command line software update & disk utility makes performing day to day computer management works easy, fast, informative. We have collected the commands all over the web, of course original source is Apple. Disk utility can verify volume, repair, check backups etc. We are not showing them as they are less needed and you’ll get them on manual. This Article Has Been Shared 312 Times! Detailed Nvidia CUDA Tool Installation Guide For Parallel Computing For MacOS X. It Is Difficult To Install All The Stuffs & Make It Working. Cite this article as: Abhishek Ghosh, "MacOS X Command Line Software Update & Disk Utility," in The Customize Windows, July 7, 2017, April 21, 2019, https://thecustomizewindows.com/2017/07/macos-x-command-line-software-update-disk-utility/.